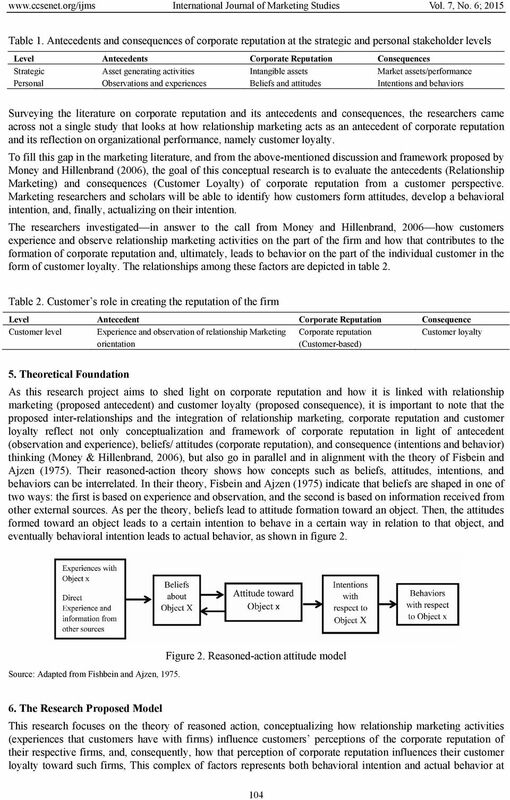 Download "Proposing a Conceptual Model of Corporate Reputation Associated with Relationship Marketing and Customer Loyalty"
HOW CAN A GOOD REPUTATION CREATE VALUE FOR A COMPANY? 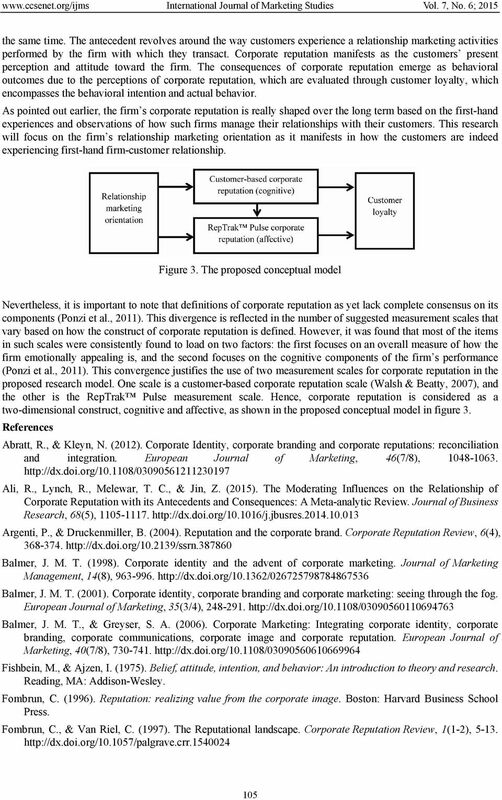 Explaining variation in market to book ratios: do corporate reputation ratings add explanatory power over and above brand values? Effective Corporate Reputation Maintenance: The Importance of Codification. Yakimova Raisa, Mavondo Felix, Freeman Susan, Monash University. Management White Paper What is a modern Balanced Scorecard? 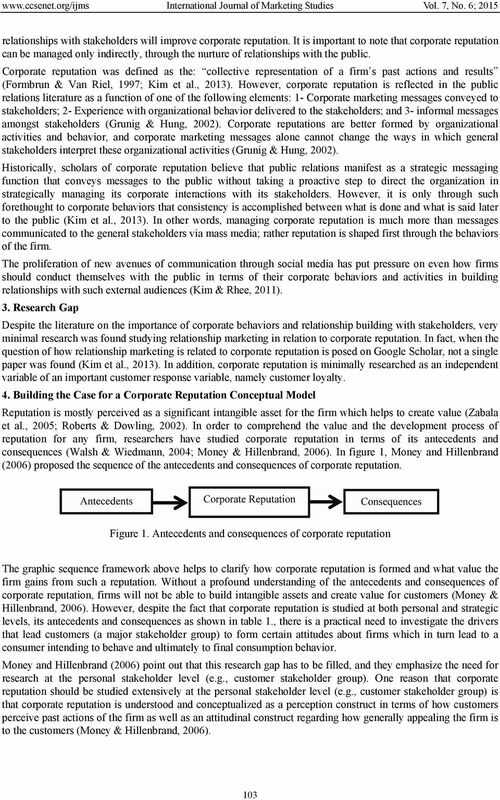 Who is in charge: Corporate Communications or Corporate Marketing? Aligning Communicated and Conceived Brand Promise in Professional Services Firms Deborah Goldring Stetson University Professional services advertising plays an important role in signally service quality.